We are experienced in removing and installing asphalt roof shingles, so your Concord home is protected for many years to come. 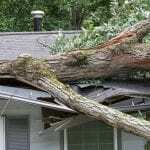 Unless you’ve had unexpected damage to your roof, it can sometimes be difficult to determine when the time has come for a replacement. At JM Reynolds Builders, LLC, we often find that roof shingles offer the first signs that your roof needs attention, whether they are cracked, curling, or have come loose. If you have noticed that your roof shingles aren’t in the best condition or your roof has suffered storm damage of some kind, it’s important to call on a reliable roofing company that can restore your roof to its best condition. When you call on us at JM Reynolds Builders, LLC, you’ll find that our focus is on providing expert services involving roof shingles. We are experienced in removing and installing asphalt shingles, so your home is protected for many years to come. We believe that keeping your roof in top shape is an important investment, and when you rely on us for your roofing work, you won’t be disappointed in the results. 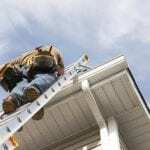 In addition to installing high-quality roof shingles and providing excellent workmanship, we can also help you determine if an update to your gutters will maximize the protection of your home for the long-term. Our expert team is trained and ready to offer complete roofing and gutter services, so you feel confident your roof and your home are ready for anything the weather may hold. If you’ve noticed your roof shingles are looking worse for wear in Concord, North Carolina, make sure to call us at JM Reynolds Builders, LLC today to schedule your estimate. We look forward to becoming your roofing company of choice. At JM Reynolds Builders, LLC, we install roof shingles in Concord, Kannapolis, Charlotte, Salisbury, Mooresville, Huntersville, Granite, Quarry, Davidson, and Paw Creek, North Carolina.